For our grandfathers 80th birthday, the whole Hoseth family gathered in Stobrec, Croatia for a week of some good old fashioned family fun. Stobrec is a small village located on the Dalmatian Coast just outside the city of Split. With its good looking beaches and a calming vibe, it served as a perfect base camp for our group to kick back in between our excursions. This relaxed gent is not my grandfather. You´ll have to scroll a bit further down to get a glimpse of the man himself. The boys were happy to get some activity throughtout the day. I´m sad to announce that my brother beat us all when shooting hoops. For a soccer-player he´s pretty decent at using his hands. This is not a sponsored ad for Speedos! Which is a missed oppurtunity for Speedo. A diving board is always a good source of fun. See the video for some mind-blowing flips. Just a short drive from Stobrec you can find the city of Split. Being an extremely old city, it can offer a lot of history for those interested. 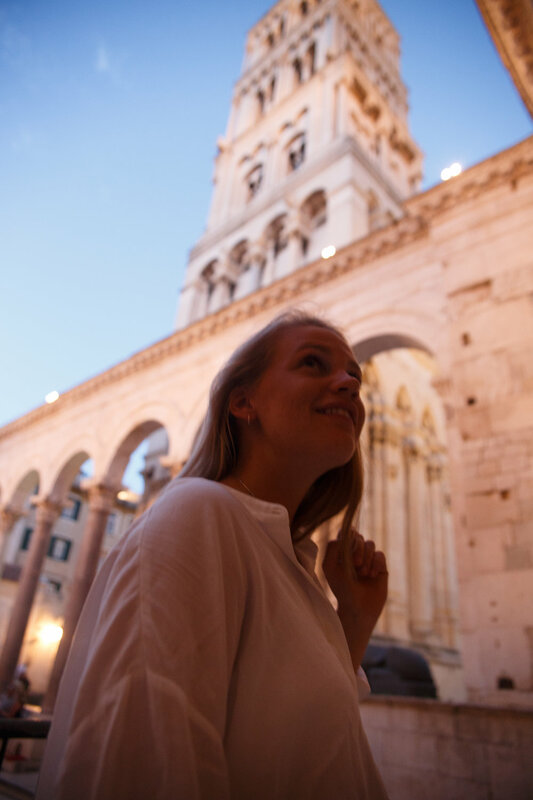 The old palace of the Roman Emperor Diocletian is located in the middle of Split and makes for some beautiful scenery while visiting many of the shops and restaurants contained within its walls. A must-see while in Split! Here he is at the left! The legend himself is sporting an Adidias tank top and a bold red bucket hat for sun protection. Who said you couldn´t stay safe while looking cool? Happy 80th birthday Lars! 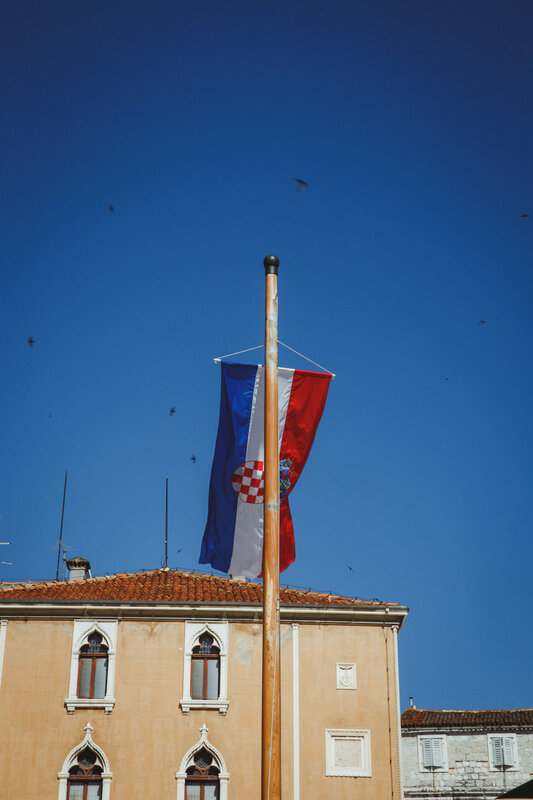 We had a really great time in Croatia, and were happy to celebrate our granddad with the whole family. As we all are getting older, it is getting harder to gather the whole gang. Although one of our cousins had to stay behind for this one, we will try to see each other again soon. Three generations of excellent people, all at one table. While flipping his board at summertime, my cousin to the left is an expectional freeride skier at winter. Check him out HERE.